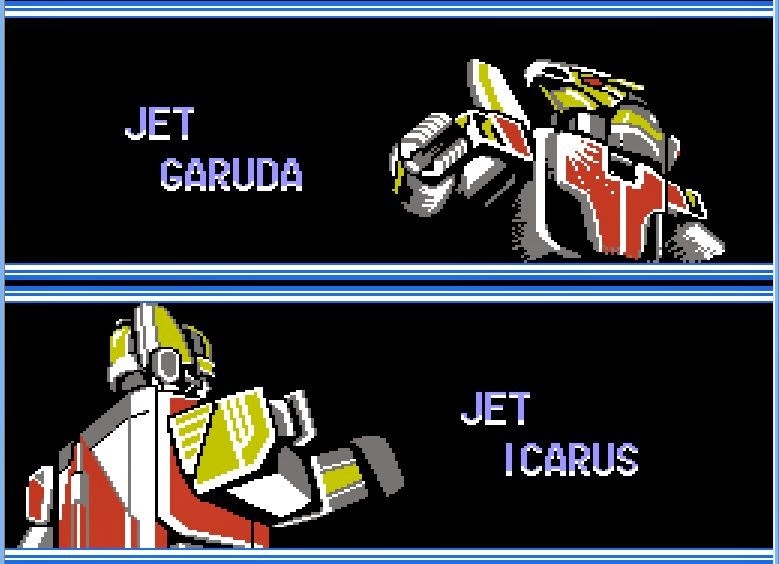 Nintendo game with the concept of Power Rangers I used to play is Choujin Sentai Jetman. This game is not likely popular than its television series in 90s. 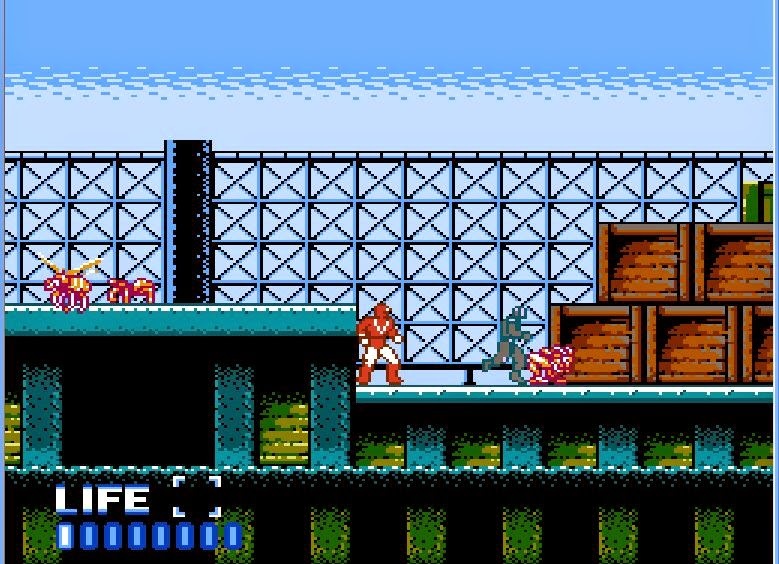 One of the side-scrolling action game that has its own memory for me besides Super Mario Bros and I play this game recently after 15 years with emulator just after finding my friend post its original background music on Facebook. 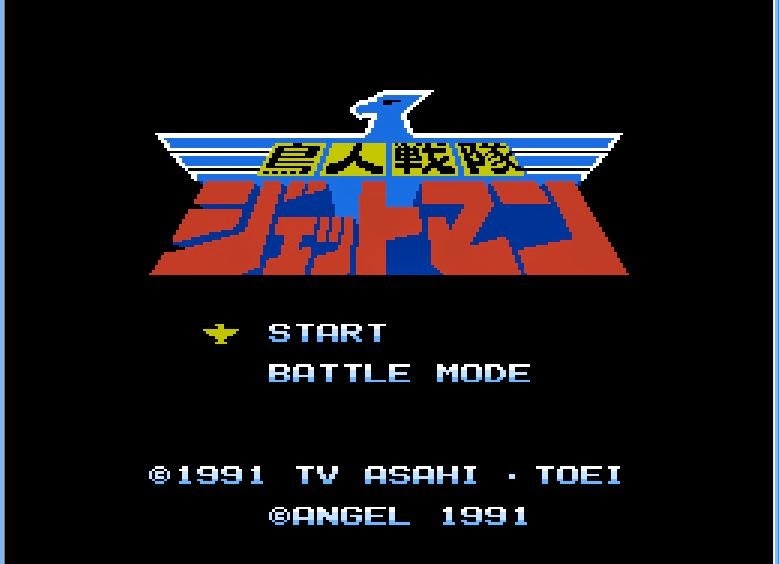 Chijou Sentai Jetman is a NES game which releases in Japan. 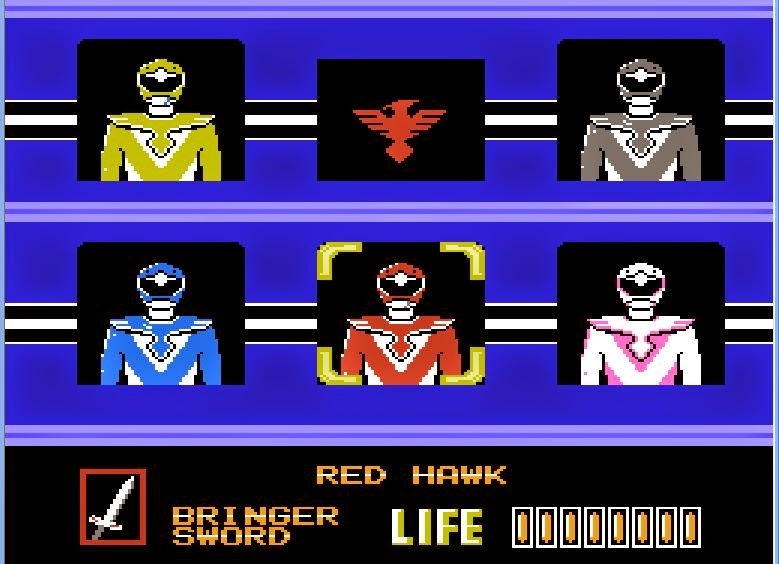 Made by Bandai in 1991, the game adaptation of TV series under the same name, players can play one of five rangers available to deal with the five stages can be selected at random plus one final stage. 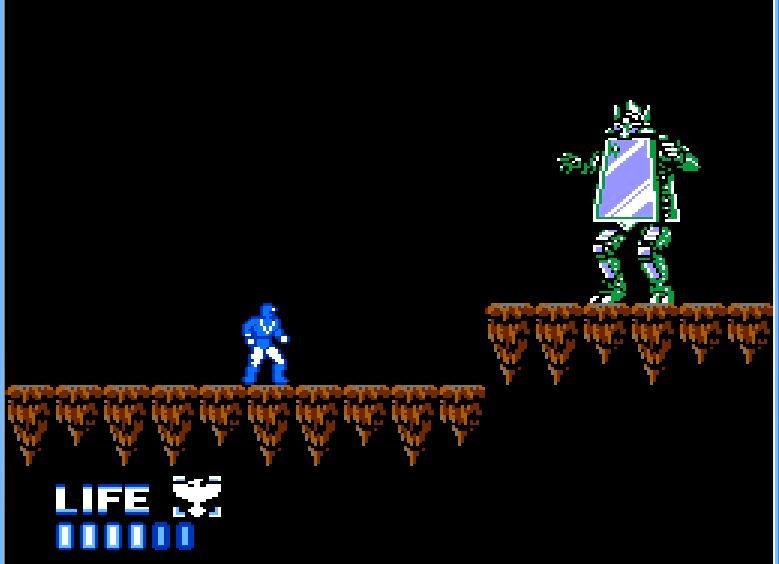 The mmission is simple and repetitive in every stage, just running past the enemies to the end of the stage to meet the stage boss and player will see the transformation cutscene of Jetman robot that will be used to fight with the boss stage with the game play style of fighting mode. 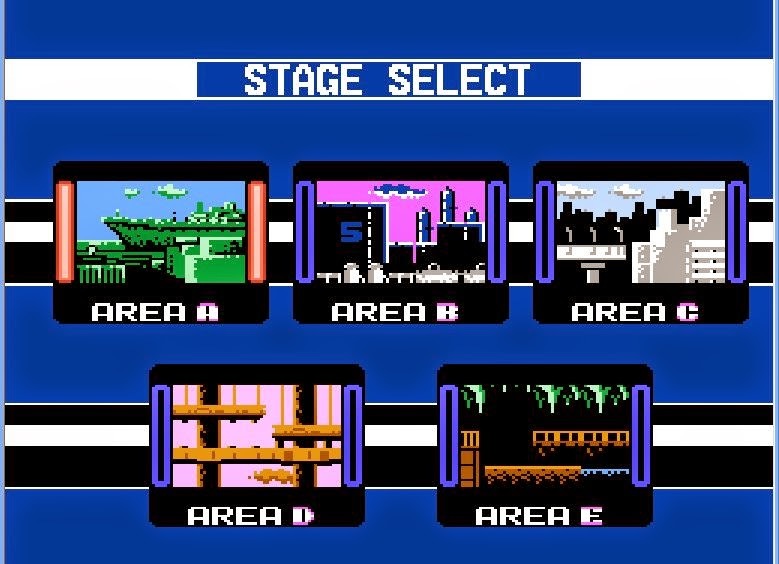 If the player completes a stage, the summary result screen will show a password to resum the game (the concept of "save game" on older consoles). There are two game modes to choose; easy and normal modes. To complete the game it only takes half an hour with the easy mode, but the hard mode takes more time to complete. The fundamental difference in the level of difficulty is the number of enemies that have emerged and their aggressive manner. Each ranger has different weapons but in general there are three, namely the sword, gun and gauntlet. Each character has its advantages and disadvantages as if weapons powerful then a little life bar and vice versa. Control of this game is nothing special. Can only attack and jump and the rest is extra power by pressing the "Start" button. At the fighting mode, using down button is fending the stage boss. In my opinion, the display element of this game is above average because almost every stage background varied and not boring. The character designs are also arguably similar to its TV series. Moreover, in addition to the concept of passwords to save game. The cut scene is plus point, do not be disappointed if you are successfully completing the game because you will see the ending. Regardless of the value of nostalgia. In terms of background music, this game has a soundtrack that is similar to its TV series, of course with a touch of 8bit. The reason why I play this game comes from BGM. 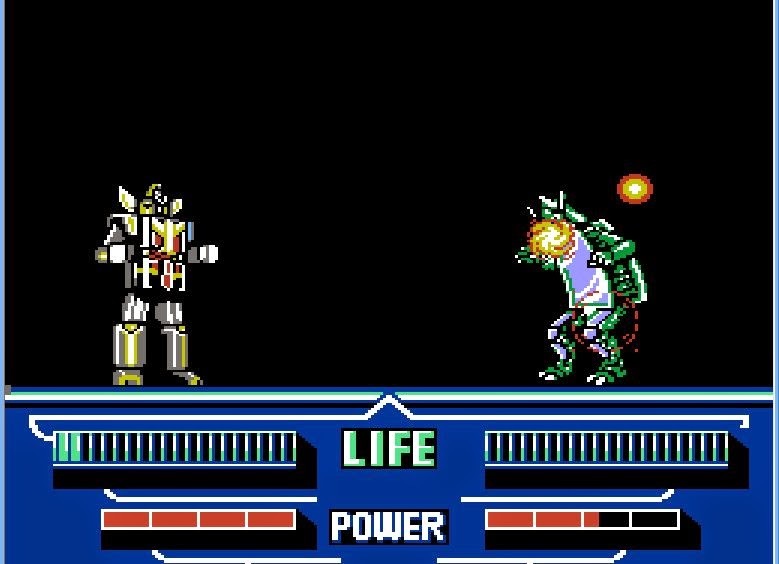 The fun of re-playing Jetman is completing each stage, fighting the boss, and see the game ending. If you want a side of fun, try play it on easy mode, hard mode is not recommended because it will be challenging. 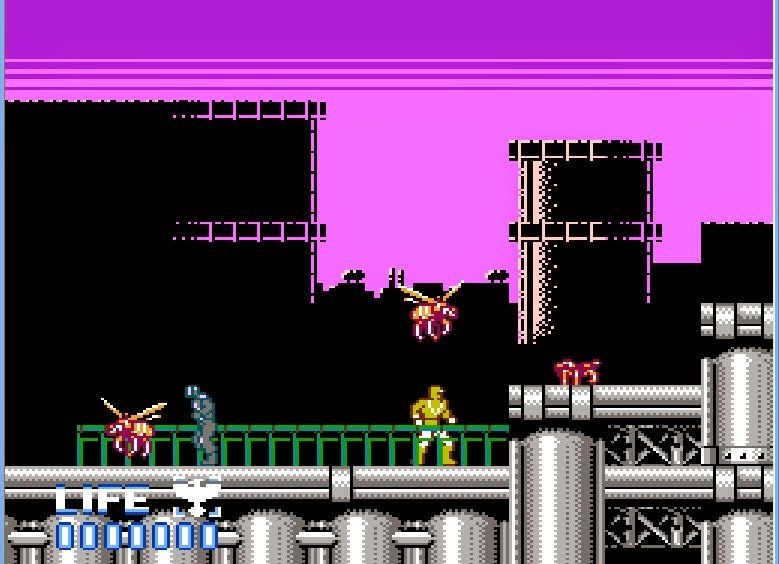 Playing side-scrolling action games like this are common and typically the same as the other NES games. If we talk about the gameplay, nothing too prominent except on each end of the stage, turned into a fighting gameplay.